Charlie was our latest addition, graciously given to us by Mary O’Neal, Cindy Cooke and Buffy Stamm/ Anstamm Kennels in June 2009. At this moment, Charlie was 3,5 years old and enjoyed a remarkably successful show career in the US. I saw Charlie the first time at the Montgomery show in 2006 as a yearling and I was immediately very impressed and excited. 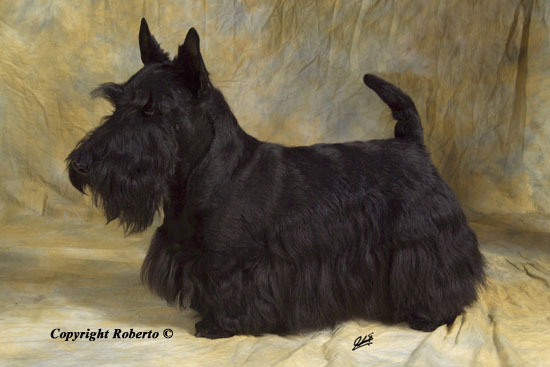 And his show career in the following years completely confirmed my impression: Winners Dog at the National Specialty of the Scottish Terrier Club of America, BOB at 4 Regional Scottish Terrier Specialties and, obviously, USA Champion, but also Brazilian Champion (during a 1-year stay with Mario Duarte in Brazil). Charlie carried in his pedigree the full potential of 60 years line breeding at Anstamm. 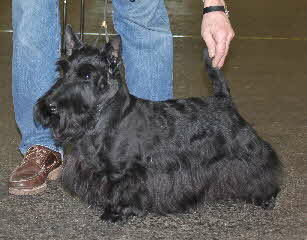 He was a half-brother to the most successful Scottish Terrier in the last couple of years - Roundtown Mercedes of Maryscot, multiple winner of National Specialties, BOB and BIG Westminster 2009 and Crufts BOB 2009 and currently No. 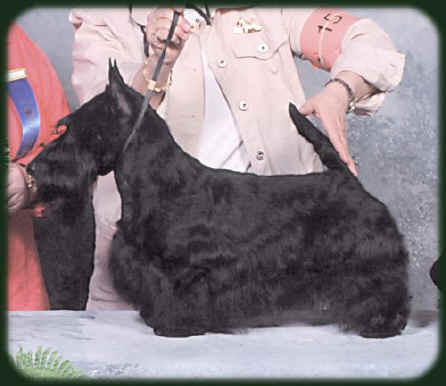 1 Show Dog - All Breeds in the USA. Charlie very much represented Anstamm’s (and our) ideal type: a balanced mix of substance and elegance! We hoped for a successful career for Charlie in Europe - in the show ring and as a stud dog - and it turned out like that! Charlie’s start in the German/ European show ring was difficult - just as we experienced it a couple of years ago with Bailey. But then he made the turnaround, first in Switzerland. 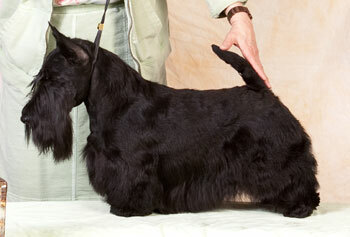 In September, we was Club Winner of the Scottish Terrier Club Switzerland, and in October, at the Intern. show in Lausanne, we won the Terrier group for the first time under Ronnie Irving, president of the Kennel Club and well-known terrier judge. Later, it turned out that with his win he also completed his International Champion title (as he had won a bunch of IB-tickets in Brasil). In September 2010, he completed both German and the Swiss Champion titles in minimum time. And then, he added Austria and a bunch of other titles to his record. As a stud, he met our expectations very well. He produced a number of puppies in our kennel which all turned out to be of very nice quality (including the ones we kept. i.e. Tina, Cindy, Lilly and Zampalou) but also had very nice and lovely temperaments. And in the meantime (after a couple of rough years after his arrival) he developed to a very nice and lovely boy in our house who enjoyed life in the family and with the other dogs.